As the proud principal of Archbishop Ryan, I am thrilled to provide with some brief highlights of what makes us so exceptional. I have spent much of my professional life here are Ryan, first as a student in the 1990s and then returning as a teacher for 12 years before becoming Assistant Principal for Academic Affairs in 2013. Now in my fourth year, I am honored to serve as the Principal of Archbishop Ryan High School. While academics, extra-curricular activities, the arts, and athletics are important, like our chapel that lies at the heart of our school, Catholic identity is at the core of all we do. It is in this area where our students shine --- preparing meals for Aid for Friends, taking younger grade school students to the Aquarium and the zoo, collecting items for Gift of Life, Sarnelli House, Catholic Relief Services, working at a variety of homes and facilities to complete their service hours --- all these ways our students live out the mission of the church and the call of Pope Francis. Additionally, our students attend school mass at least once a month and our students have gone on more than 60 Kairos retreats. In Academics, Ryan truly shines. We are a haven to meet the needs of all types of learners. There are only two high schools with the staff and support to assist students with diagnosed learning disorders – us and Bonner-Prendergast. Our Bonaventure Center supports those students and provides the tools and structure needed to be successful in high school. Additionally, we offer more 12 AP courses available, including the only area high school with an AP course for 9th graders, AP World History. Our Honors and College Prep level courses push students to succeed and rise to high expectations. Looking at our course selection book, you can see numerous electives available, from Digital Literacy and Writing Skills to CAD and Personal Finance from Forensics to Anatomy and AP Physics to 2 years of Journalism, Media, Current Events, 2 years of Latin, an assortment of business classes, and courses offered by the Jesuit Virtual Learning Academy. We are also proud of our four-year partnership with Holy Family where students earn both high school and college credit by enrolling in college courses at a fraction of the cost taught here by Holy Family professors. Another area where we excel is the arts --- look around at other Archdiocesan high schools and you will find none in the area that have an in-house, 4-year program in fine arts and music arts. Additional electives include two years of theater arts study, work in ceramics, 3D design, piano lab, and vocal arts. All of this is available during the school day with certified teachers and instructors. After the 8th period bell, there is still much to offer and much to do. From Yearbook to Student Council to Health Careers to Mathletes to Speech and Debate, Archbishop Ryan has it all. If there isn’t a club here for you, students are charged with starting one. When some of our international students looked for some clubs to join, they opted to add a table tennis club --- that club now has three tables and international students teach our own local students the intricacies of the game. These activities have truly helped bridge cultures! Archbishop Ryan is proud of its highly competitive teams and the character our coaches help building in our players. Just last year, our girls’ soccer team captured their fourth consecutive PCL Championship, this year our girls’ swimming were the PCL and District Champions, our hockey team defended their PCL Championship, our boys’ basketball advanced to the Palestra, the second time and now are advancing in state playoffs, and our softball team won their third consecutive PCL Championship. Additionally, our wrestling and track teams have had amazing team and individual successes. 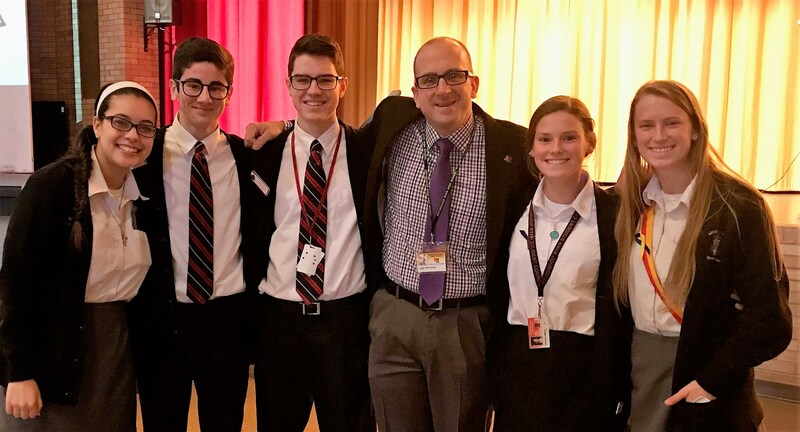 As you explore our website, I hope you discover all that makes Archbishop Ryan a truly amazing school and the right choice for your son or daughter. Joseph McFadden '97, M.A., M.S.Ed.